Caption: IMG_7577: (Left to Right): Council Member Lee Seeman, Supervisor Judi Bosworth, Mark A. Ventimiglia and Receiver of Taxes Charles Berman at the Cellini Lodge #2206’s 51st Anniversary Dinner Dance. 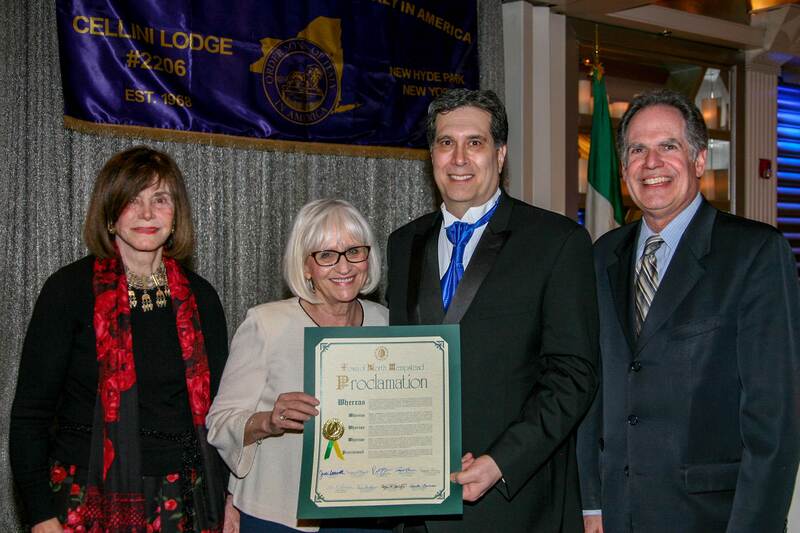 Town of North Hempstead Supervisor Judi Bosworth, Council Member Lee Seeman, Town Clerk Wayne Wink and Receiver of Taxes Charles Berman celebrated the 51st anniversary of Cellini Lodge #2206 on April 5 at Chateau Briand in Carle Place. The event recognized Mark Ventimiglia, the immediate past president of the lodge. Town officials presented him with a proclamation in honor of his accomplishments. 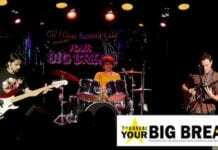 Cellini Lodge #2206 is based in New Hyde Park and was founded in 1968. Today they have a membership of over 350 men and women. This is their 114th Year of the Order Sons of Italy in America, 51st Year of Service to the Order and 108th Year of the Grand Lodge of New York.